Having spent most of 2018 railing against ill thought out legislation hitting the property rental sector, I was pleasantly surprised to find a Labour MP in a Westminster constituency had done something good for the rights of tenants. My surprise turned to delight when I discovered one of our Barristers, Justin Bates had drafted the legislation. I always said I could pick a winner. The snappily titled “Homes (Fitness for Human Habitation) Bill” proposed by Karen Buck MP amends the Landlord and Tenant Act of 1985 to require that rented accommodation is provided and maintained in a state of fitness for human habitation; and for connected purposes. This appears simple common sense. In the private rental sector, agents generally maintain high standards. We do this for several reasons. First, we want to be the best, to offer our landlords and tenants a sterling service. This ensures our business success. Second, we are regulated by ARLA Propertymark and Big Brother is looking over our shoulder. Finally, it is the right thing to do. 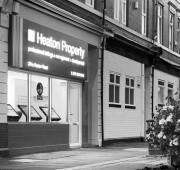 The Heaton Property ethos is “we will not let a property we would not live in”. Simples. If our tenant has an issue with us or our landlord, we have a complaints procedure. This begins with a Lavazza coffee and a chat then can escalate to the Property Ombudsman who will issue a binding ruling. So far, the Lavazza coffee has worked every time. Proof, if proof were needed, that Italian coffee should be free in the halls of UNESCO, the UN and Westminster. But where this bill really has an impact is in social housing. In private rental, if a tenant has an issue with their property, they may contact their environmental health department who will act on their behalf. With a social housing tenant, the Council is their landlord. The Housing Association whose name is on their tenancy agreement is simply a managing agent acting for the Council. So, a tenant applying pressure for decent accommodation is effectively applying to their landlord for the landlord to take enforcement measures. What could possibly go wrong with that? There is compelling evidence that the rental sector is a vital element in the UK housing market. Government data reveals that the private rented sector has doubled in size since 2004, with almost half of all people in England aged 25 to 34 paying a private landlord for their accommodation. Meanwhile nearly 40,000 fewer social houses were rented in 2016/17 than the year before, mainly due to Government legislation. This is a drive to the bottom. Fewer affordable social housing properties for the neediest, while increasing standards in the private rental sector push prices beyond the reach of the poorest in society. It is an issue for Government and one that badly needs to be addressed. The Homes (Fitness for Human Habitation) Bill is a step in the right direction, ensuring that social housing tenants have the same rights in law as private rental tenants. I am put in mind of Mahatma Gandhi who said, “Recall the face of the poorest man you have seen, and ask yourself if this step is going to be any use to him.” The Homes (Fitness for Human Habitation) Bill will be of use to the least affluent tenants in the country.